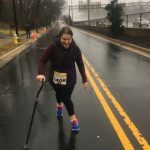 As we get closer and closer to race day, I feel compelled to talk about my trainers at Fitness Together in Alexandria, VA. They are fantastic! What I love about them is that everyone brings something unique and valuable to the table. 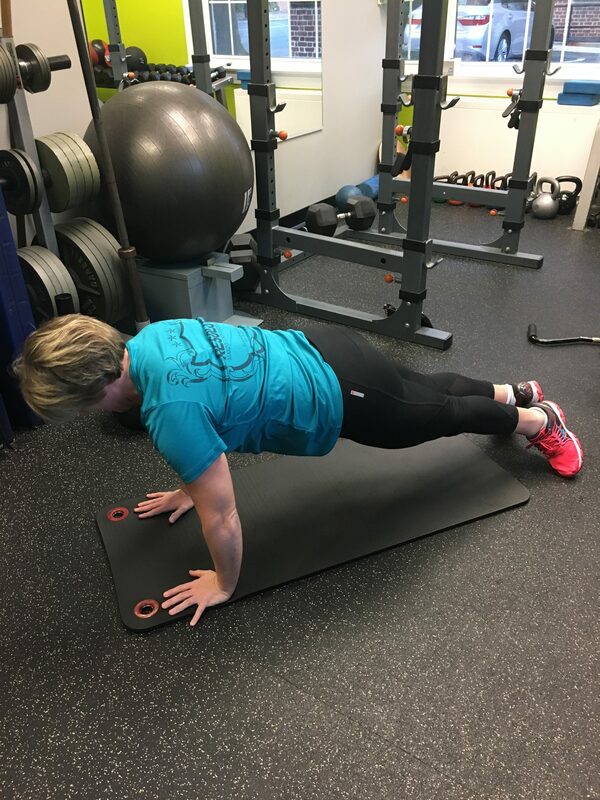 One trains to improve overall core strength and muscle, one focuses mostly on isometric movements, one comes from a background of working with some clients with disabilities and has worked on aspects dealing with injury prevention and balance. I cannot tell you exactly what the fourth person’s specialty is when working with me, but I can tell you that he works me hard, and is the only one who almost made me cry over the difficulty level of an exercise. What I love is that everyone knows I am all in to try new things in training, so no one is reluctant to throw something new my way or introduce a challenging element. I love that I go in and things are all planned out and ready for me. On Friday, I went in for my second session of the week. I love my Friday session! It is always a great way to start the weekend, and this one did not disappoint. For a large portion of the session, Jim and I worked on how to fall without breaking my wrist (because nothing ruins a marathon faster than a broken wrist) and how to return to standing from a fall while retrieving my cane. I am sure this is not a part of most marathon training plans, but it must be part of mine. We started out in a modified burpee, but once Jim determined I could do a perfect form pushup he integrated this into my approach. I am beyond proud of my pushups, which came about simply as a question during my cross-training. I was doing a modified pushup with another trainer, but I really felt I should be doing something with the lower half of my body. I could not help but ask about it. When I learned there was something I could do, of course, I wanted to try it. On Friday, somehow, during my workout I ended up doing a pushup just during various sets. I could see on my trainer’s face the look of pleasant yet utter surprise when he saw how good my pushup was. It was something I will never forget. He immediately had me change from the modified burpee to the pushup to start. You may wonder why I think it is so great to focus on something so negative as falling. The fact is, as I get more tired and the race goes on, falls probably will increase, so I need to learn how to minimize the potential injury or time spent recovering from the fall. Overall, this will lessen the time on my feet and energy expenditure. More than anything, it just makes me keenly aware how close we are getting to race day. No longer are we simply training for overall fitness and strength. Of course, that is always a factor, but we have moved into training for specific scenarios on race day. That no longer scares me. The enemy of fear is preparedness. Race day is coming, and I will be there – racing. The successful outcome will depend on how prepared I am. Tomorrow, my training plan dictates that I run 16 miles for my long run Sunday. It will start off with the Love the Run You’re With 5k! I am excited since I have not raced formally in a while! It will be great to get outside, even though it will probably be raining. Every action I take between now and race day is preparation for things to come!